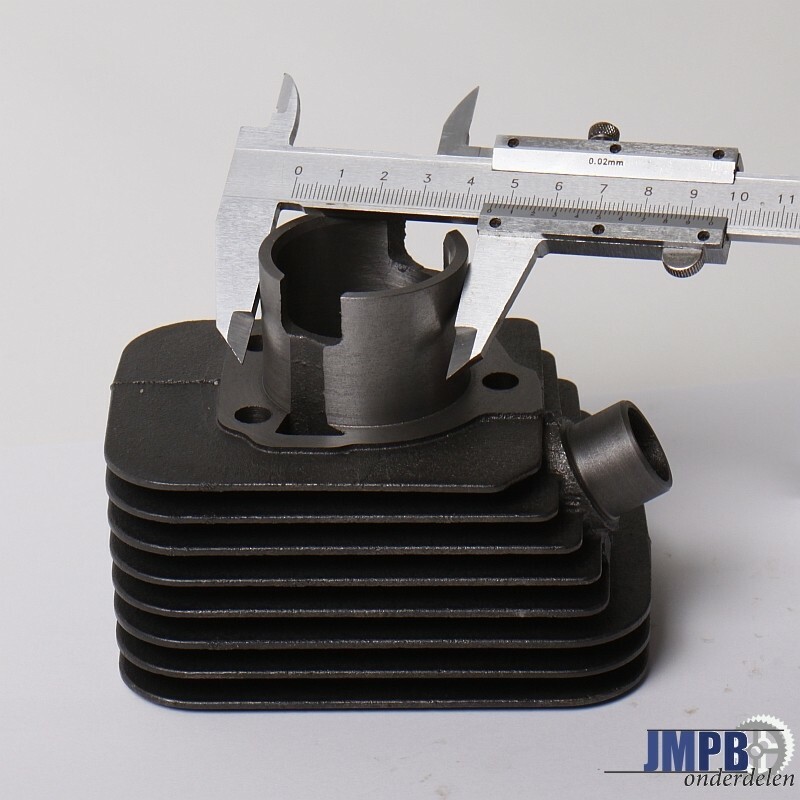 We get allot of questions wich size cylinder or piston is needed, since there are multiple models for a Vespa Ciao, Gilera Citta, Vespa SI of Bravo. 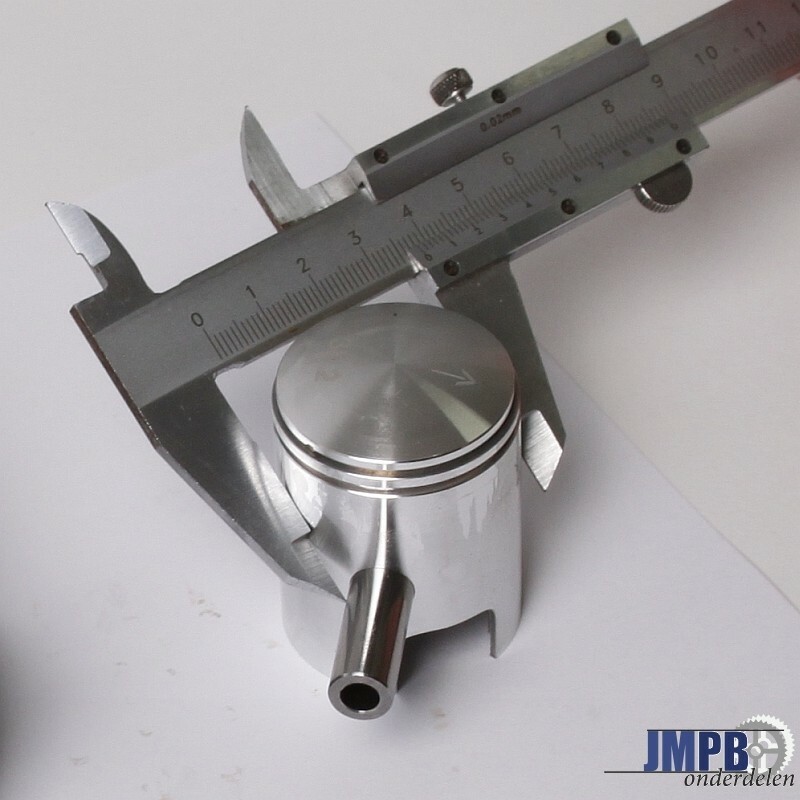 At our Cylinders we mention various diameters, diameter of the Skirt ( to the Carter / Crankcase ), diameter of the cylinder itself, connection of the exhaust port & diameter of the piston pin. 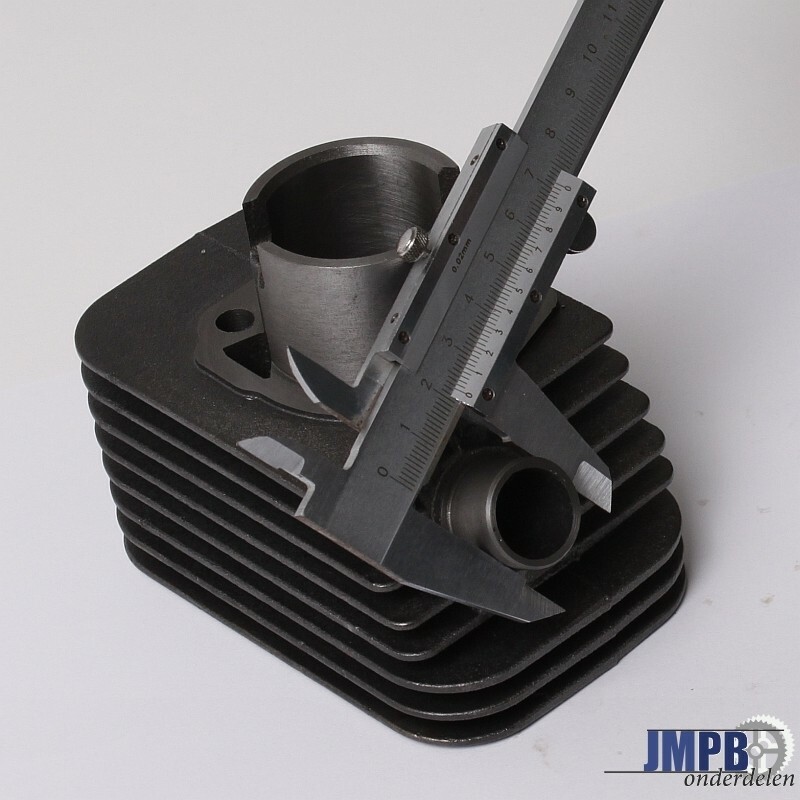 Below you can see exactly what we mean with this, and how you can check this with you old cylinder or piston. There are certain carters / crankcases that are limited, on this only cylinders can be mounted with an diameter of 45mm. Cylinders with a bigger diameter can't be mounted on it. Measuring the Carter / Crankcase connection, See the image below. The diameter of the cylinder / piston. Standard cylinders are mostly 38.2MM, but there are certain models that originally use an 38.4MM piston. It is wise when you only need a piston to measure the old one first. All our cylinders say the following, Pin 10 or Pin 12. 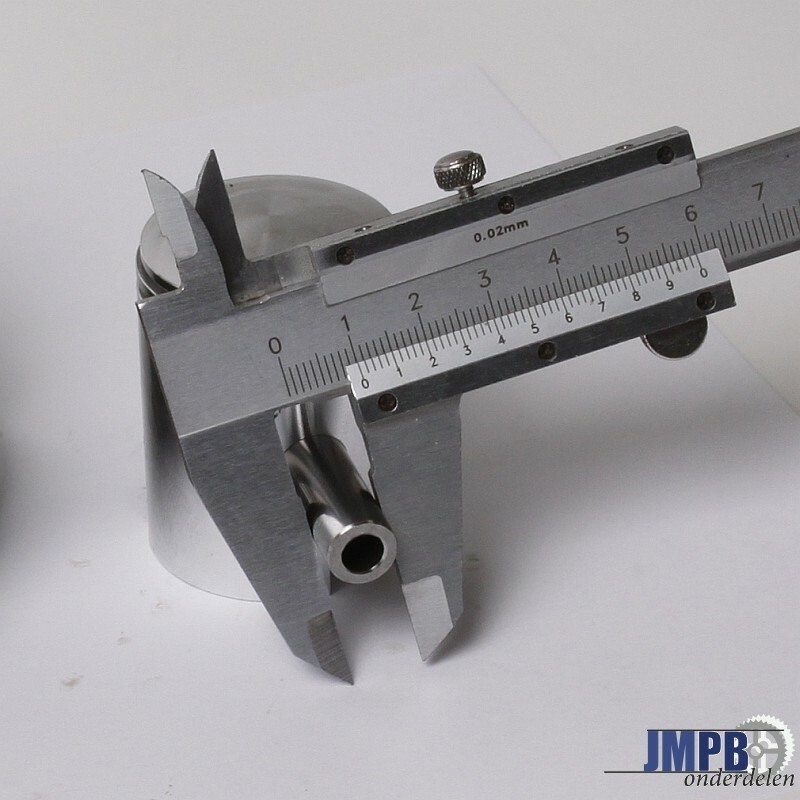 We mean with this the diameter of the piston pin. You can't tell by eye witch models use an 10MM or 12MM piston pin, it's smart to measure this in advance. Crankshaft are Interchangeable, in case you are also mounting a new crankshaft, you can for example take a Pin 10 crankshaft, with a fitting Pin 10 cylinder. At all our Vespa Ciao, SI, Bravo or Glera Citta cylinders we mention the diameter of the exhaust port, this is the outer diameter of the port, like you can see on the image below. Do you, for example, have a new model Vespa Ciao MIX with an 23.5mm exhaust port, then it is only possible to mount our cylinders in combination with a new exhaust with an 22mm connection, since there are no new cylinders more for sale with an 23.5mm exhaust port.